Most Brides-to-be, when planning their wedding have no difficulties in choosing their bridesmaids or how many they should have. The amount of bridesmaids is really a very personal decision unless you have a really large family and you feel pressured in asking siblings, cousins, aunties and second cousins twice removed! Etiquette once dictated how many bridesmaids were chosen on the type of wedding held and while this guideline for some is still very much in place, with the trend in today's modern weddings taking place in unusual and far away places, it comes back to personal preference. 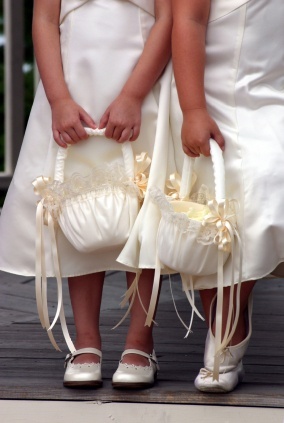 Children can take the place of bridesmaids when second weddings take place. Getting married with no bridesmaids is not unusual at a beach wedding or when you have eloped. In America the bridesmaid can sometimes outnumber the amount of wedding guests as the American Bride likes to have each and every one of her friends in her wedding party. 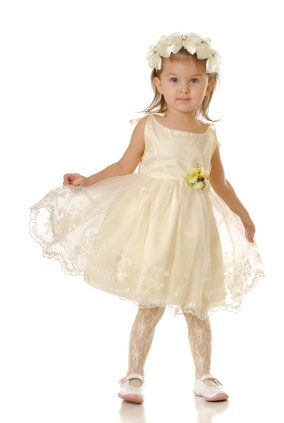 Semi-formal weddings usually have from one to six bridesmaids. The casual wedding can be held with no bridesmaids and just the maid of honour. The older Bride can choose to walk down the aisle by herself and have no bridesmaids in attendance. Twelve or more bridesmaids, although quite rare, have been used when an extremely formal wedding has taken place in a large cathedral. 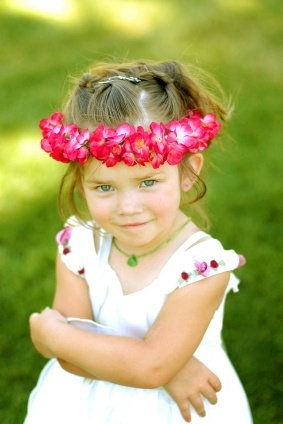 With the very formal wedding of two hundred guests or more it is not unusual to have from six to ten bridesmaids, as well as a flower girl. Bridesmaids are expected to communicate with the Bride-to-be on a regular basis so remember to choose those you feel will meet your needs and be there for you when it gets a bit overwhelming for you. Choosing one dress style to fit all the different sizes can be a bit of a headache if you have a vast amount of bridesmaids. Find out if they will all work well together. However many you choose, make sure they all get on well with each other. Remember the saying 'too many cooks spoilt the broth'! Select only those you want to stand beside you and help you through one of the most important days of your life. Take into consideration what the cost of extra transport will be for your bridesmaids. The amount of bridesmaids you may be able to have will depend on your budget as the cost of dresses, shoes, headdresses, flowers and having their hair done can make a huge dent in your budget. The larger the number of bridesmaids you have, the more difficult it could turn out for you to cope with their own problems during the period you are planning your wedding day. The size of the altar or wherever you are saying your vows will need to accommodate you and your bridesmaids comfortably. The size of your top table should be taken into consideration when choosing your bridesmaids (and indeed your whole wedding party). Your wedding guests want to see you and your loved one at the altar, and not have to try and see over a sea of bridesmaids heads. All of these suggestions, rules, etiquette and guidelines are of course just that and the amount of bridesmaids you chose for your wedding day is entirely up to you. For hundreds of years bridesmaids have been around in many different cultures and religions and the reasons why they have been used varies greatly from country and time periods. From the early days and even in some remote jungle villages today, bridesmaids are used as a protective shield when accompanying the Bride to her wedding in the Groom's village. A type of bridal infantry, the bridesmaids were there to ward off any vengeful suitors or wayward thugs that may try to steal or hurt the Bride. Roman law dictated that ten bridesmaids required at a wedding were to dress in identical clothing as the Bride so that any evil spirits that may be lurking around would get confused and not know who was getting married. The belief that ill-wishers could put a curse on the wedding was still in existence during the Nineteenth Century and the evidence of this belief can be seen when looking at Victorian wedding photographers and the bouquet of flowers is all that depicts who the bride is. Discussing your options with your Groom-to-be is generally a good idea especially as the number of bridesmaids will ultimately be part of your budget but at the end of the day it is how many and who you feel comfortable with. Bridesmaids can be just as important to a wedding as the cake and the photographer and whether you have one or twenty standing by your side and helping you through your special day it all boils down to you and your choice alone!